I am so honored to be reaching out to you as the new Executive Director of Paint Love. When I first heard about Paint Love in 2015, I deeply connected with the mission and knew I wanted to be a part of this work. I officially joined the Paint Love team in 2016 as the Community Engagement Coordinator, and have served as the Operations Manager since 2017. I have learned so much working alongside Julie for the last three years, and am so humbled to be a part of carrying forward the incredible organization she dreamt and built. The arts have always been a huge part of my life- growing up, I danced with a ballet company in Memphis that performed and taught in under-served schools. I earned my master's degree from Boston University and have almost a decade of experience working with a wide range of nonprofit arts and educational programming, including the Fox Theatre's community outreach program, and The Center for Civil and Human Rights in Atlanta. I believe the arts are life-giving and worth-affirming, and can bring tremendous healing and fun to youth like those Paint Love serves, who are often facing some pretty tough circumstances. I am so excited for this next phase with Paint Love and incredibly thankful for the massive amount of support Julie and I have received during this transition. But we do need your help: through volunteering your time, donating money and supplies, showing up, and sharing our work, to support our crazy vision to bring more extraordinary art projects to even more extraordinary kids. I hope you'll join me as Paint Love continues to carry out our mission and make a big impact for the organizations, schools, communities, and youth we serve. For years, I had a desire to start an arts-based nonprofit for kids, specifically for those facing childhood-trauma. I remember the day I shared this dream with my boyfriend (now husband). I was nervous he would laugh or brush it off. But he didn’t laugh...so naturally I married him. (Obviously there were other reasons too, He has really great hair 😉 and is kind and smart and great with kids...) A few years later, roughly five years ago, as newlyweds, my husband and I sat in a Cuban restaurant in midtown and wrote out plans for what would become Paint Love. Starting Paint Love has been an incredibly personal journey. It has involved every aspect of my life, including my friends, my family, my mornings, weekends, and my nights. We sacrificed some of our wants financially to pursue this dream. But what surprised me in this journey is that so many people, who once were strangers, have given and sacrificed for the dream of Paint Love. And because of them, Paint Love has become an incredible force in Atlanta. What started out as six programs in 2014 has turned into one of Atlanta’s most sought-after, trauma-informed art programs for youth, with more than 220 events since our founding. This year, Paint Love will serve our 10,000th student, and continue being a leader for change in the Atlanta area. This will also be the year I step into a new role with Paint Love. As my family transitions into a new phase, I knew the timing was right to step out of the role as executive director. My friends and family closest to me asked if it would be the end of Paint Love. I’m so so humbled and honored to share that Paint Love is bigger than me and not only will it continue, but it will continue under the leadership of one of the most talented, creative and intelligent individuals I know. Laura Shaw will be Paint Love’s new Executive Director and I will transition to chairman of the board. If you have worked with Paint Love at all you know the important role Laura has played for several years now running operations, grant writing, and helping us plan and think strategically. I am so glad she wants to lead Paint Love into the future. This move is not only the best possible decision for Paint Love, it’s the best decision for my family who has sacrificed so much for this dream. I will now be able to spend more time with my two girls and will put a lot of those Paint Love projects to practice in my kitchen with my three year old. Thank you for joining me on this personal journey, for praying, donating, listening, liking, and not totally blocking me when I asked you repeatedly for money. As Laura takes over I want her to feel welcomed and supported by the community that has carried me and this idea for so long. Thank you so much! I’m excited for what lies ahead. Lets Go Paint Love in 2016! It feels like just yesterday that Julie wrote this post about what was in store for 2015. Last year was a big year for Paint Love. Thanks to you, we absolutely blew away our goals. We grew maybe a bit too fast and we learned so much. We learned our message is valuable, our story is meaningful and what we are doing is making an impact. We lost some battles. We fell, we skinned our knees. We cried and prayed and then we worked really hard. But you were there! You supported us, and folks, the stats are in. Overall, we had 110 volunteers who collectively spent 96 hours preparing for our projects. This included brainstorming the concept and making samples. Together we had 35 professional artists giving over 90 hours of high quality artistic instruction to Atlanta’s youth. Our entire rent for 2016 was covered by a donor. You have funded enough staff hours to make this a reality. By exceeding our fundraising goals, we are able to sustain our current administrative costs and even grow our event numbers in 2016! 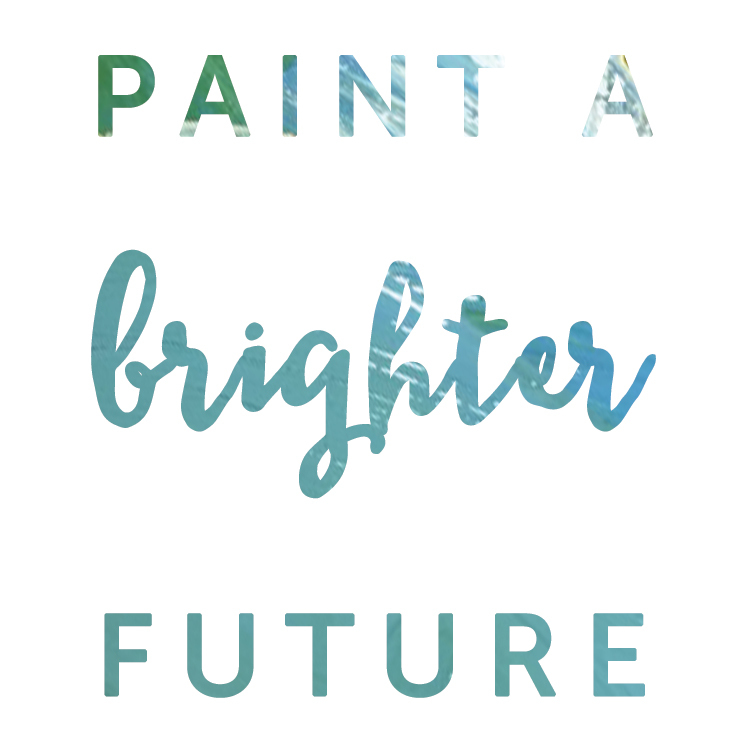 You gave an overwhelming $11,152 dollars to our year end campaign, helping us paint a brighter future. With the matching donation, this adds up to $16,652. In 2016 we’d like to use your investment in Paint Love to coordinate 45+ Paint Love Projects and serve at least 850+ students. We will be focusing our project efforts on returning to the same groups of children. We’re currently working on ways to evaluate and measure our impact on these groups. We are so incredibly thankful for your support, your kindness, and pushing us to be better! We can not wait to see what 2016 holds for Paint Love and the incredible children and artists we’ve had the honor of working with this year. Here’s to a brighter future!